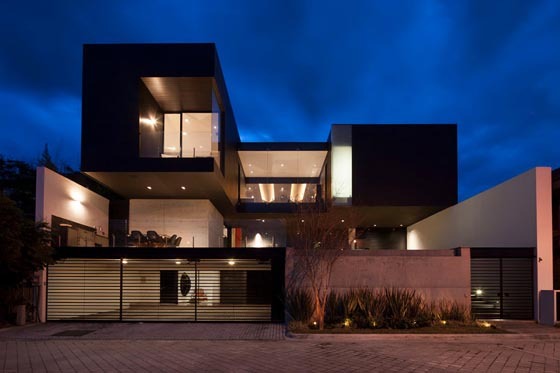 CH house (Monterrey, Mexico), the incredibly fantastic house is designed by GLR Arquitectos, aiming to provide the ultimate luxury experience in terms of living and well being. 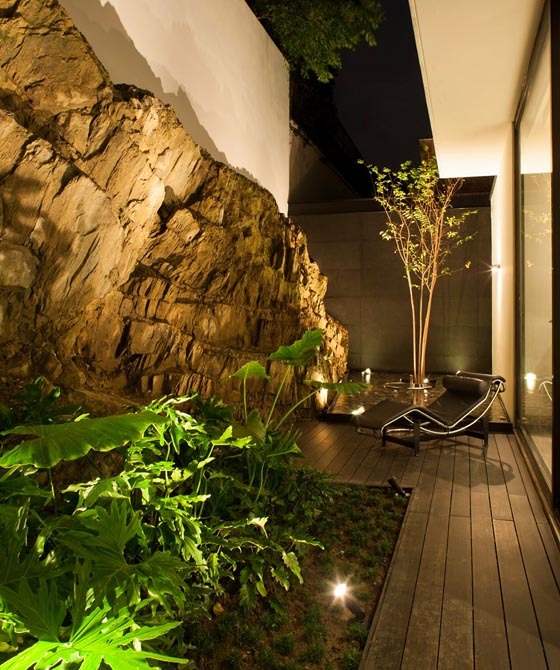 To unveil great views of the city, architects replace the original back garden with a narrow contemplative garden which has the original cut of the existing rock and located just in front of dinning area. 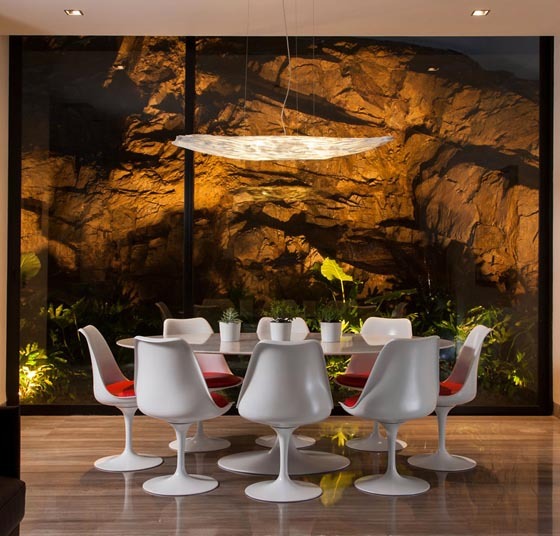 The whole dinning area becomes so spectacular with the change, looks like you are eating inside of hill rather than facing a wall of stone. 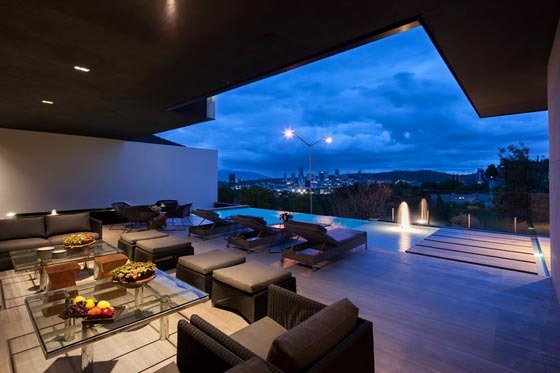 In front of the property, a large semi-covered terrace is built around the infinity pool which also provides fabulous view of the city and the parks in the neighborhood. 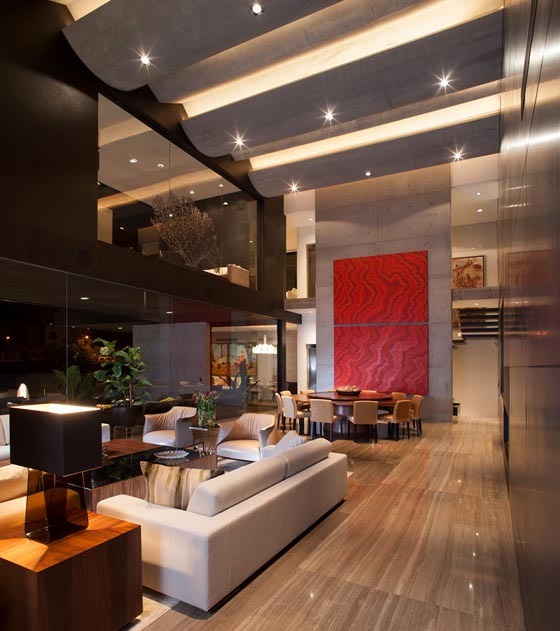 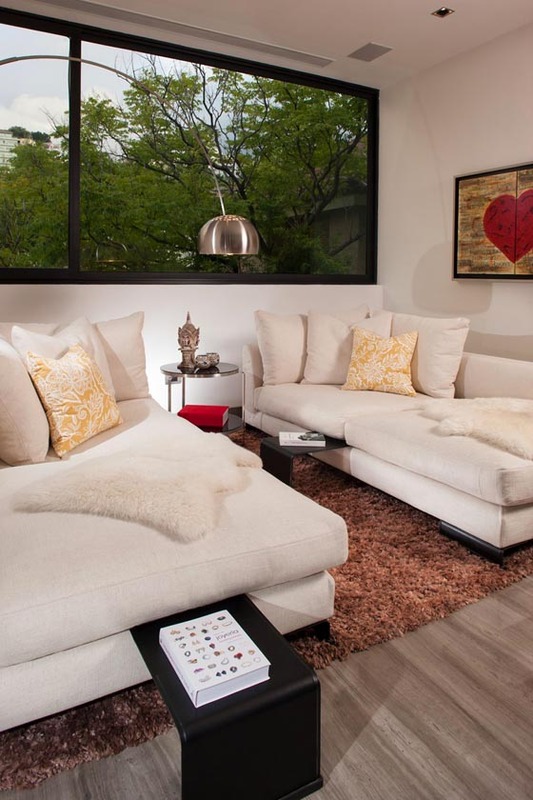 Inside, a large double height living room with a set of skylights exposed concrete, becomes the heart of the house. 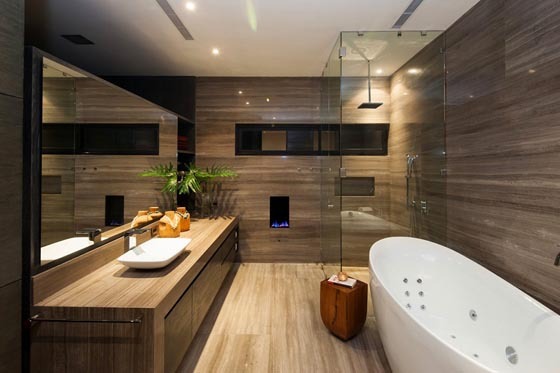 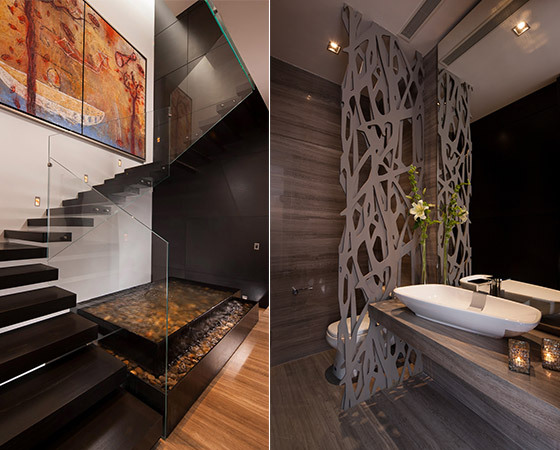 Besides those, there are many small details around the houses and make this place luxury and unique, such as the fountain besides the floating stairs and divider in the bathroom. 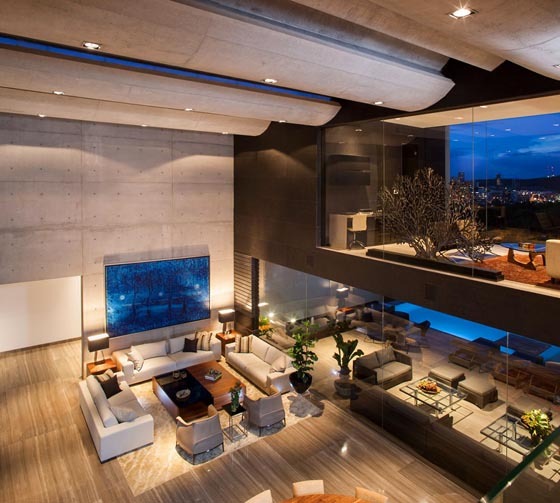 Really impressive.